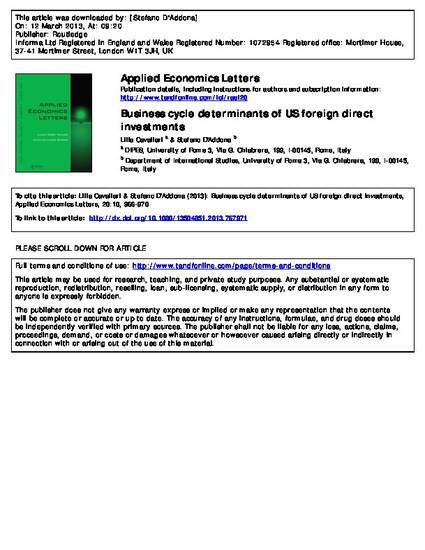 This article investigates the role of output fluctuations and exchange rate volatility in driving US FDIs. Using a sample of 46 economies over the period 1982 to 2009, we provide the evidence of a positive relation between US FDI and host country’s cyclical conditions. Allowing for asymmetry over the business cycle, we find that the output elasticity of foreign investments is higher in booms than in recessions. An increase in exchange rate volatility, on the other hand, has a strong deterrent effect on US foreign investments. This effect is fairly stable over the business cycle.